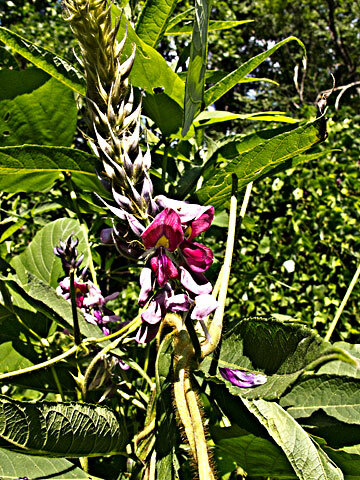 Kudzu is native to Japan and southeast China. It was first introduced to the United States during the Philadelphia Centennial Exposition in 1876 where attendees marveled at the sweet-smelling blooms, large leaves and sturdy vines of what was touted as a great forage plant and ornamental for the backyard. Then, in the 1930s through the 1950s, the Soil Conservation Service promoted it as a great tool for soil erosion control and was planted in abundance throughout the south. 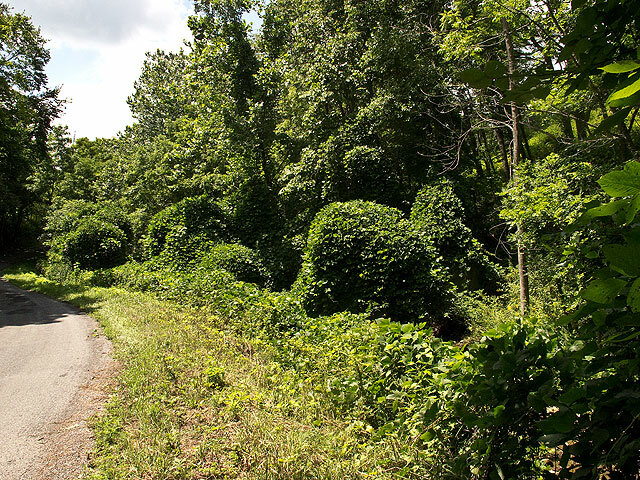 Little did we know that Kudzu is quite a killer, overtaking and growing over anything in its path. Kudzu looks innocent enough yet this semi-woody vine grows out of control quickly. It spreads through runners (stems that root at the tip when in contact with moist soil), rhizomes and by vines that root at the nodes to form new plants. Although the plant does seed, it does not reproduce as quickly in this matter. 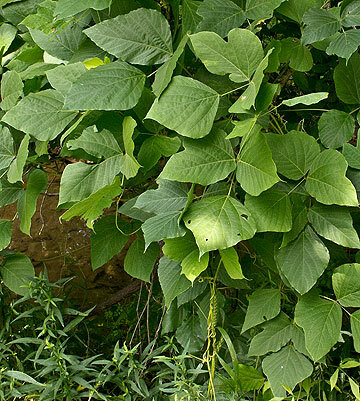 Once established, kudzu grows at a rate of one foot per day with mature vines as long as 100 feet. Known as "mile-a-minute" and "the vine that ate the South", kudzu can easily overtake trees, abandoned homes, cars and telephone poles.